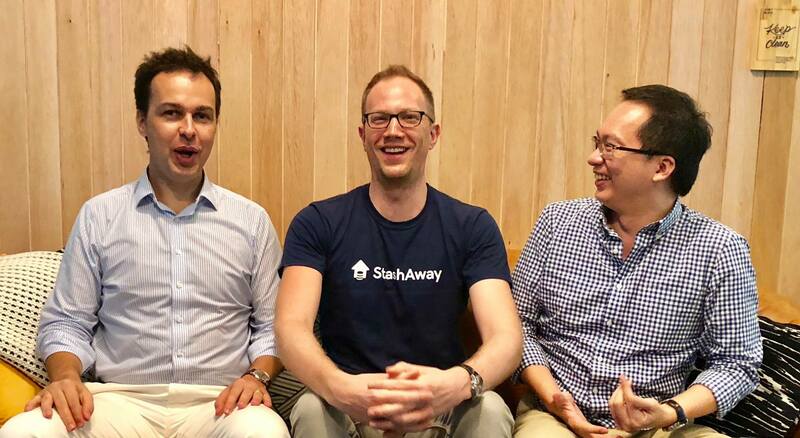 Singapore-based robo-advisor startup StashAway has secured USD5.3 million in Series A funding round. In the funding, existing and new investors, including family offices, participated. Popularity of robo-advisors have been growing in Singapore, with OCBC Bank among the first to launch robo-advisory services. The company will use the fresh funds to develop and enhance its investment service and technology. It will also launch StashAway into new markets overseas. “Interest and users of digital investment platforms have proliferated over the past 12 months, and StashAway has spotted opportunities in additional markets globally,” the company said. StashAway was founded in 2016 by Michele Ferrario, who was the former Zalora Group CEO, Freddy Lim (CIO), former MD and Global head of Derivatives Strategy at Nomura and Nino Ulsamer (CTO), a serial entrepreneur. The company positions itself as an alternative to traditional financial advisors. It operates on a monthly subscription model, using a robot advisor to aid clients in making investment decisions without the need for a consultant. Earlier, StashAway raised USD2.15 million in pre-Series A round led by the family of Singapore-based Francis Rozario, the founding chairman and CEO of Asia Capital and Advisors. The Rozario family also participated in the latest Series A funding round. The pre-Series A round last year gave StashAway sufficient funds to be eligible for a retail fund management license from the Monetary Authority of Singapore (MAS), which requires firms to possess a minimum capital amount of SGD1 million. Altogether, StashAway has raised SGD11.1 million (USD8.4 million) across three funding rounds.